Occupational Health Services, Physicals, Immunizations | AccuSource, Inc. Ensuring and maintaining a healthy workplace environment not only contributes to increased productivity and decreased absenteeism, it also reduces organizational healthcare costs. AccuSource is dedicated to helping companies create and maintain personalized, comprehensive healthcare screening programs with cost-effective and innovative solutions. 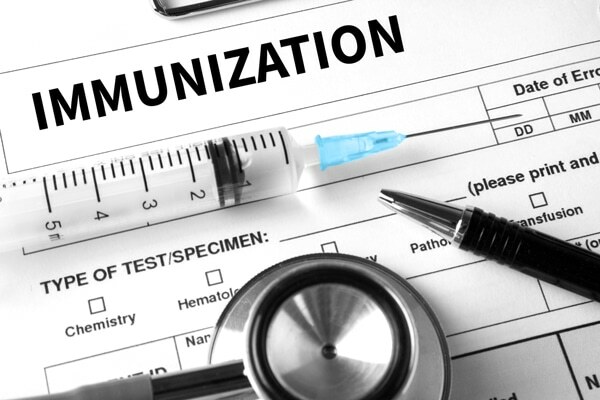 Whether your company needs flu vaccinations and fitness for duty exams or immunizations to meet compliance requirements for medical staff, AccuSource has you covered. We partner with over 5,000 clinics nationwide to provide a single source for all your occupational health needs. Additionally, our medical compliance software assists employers in monitoring when staff members are required to undergo additional testing or services. Occupational Medicine is a specialty medical practice concerned with the health, safety and performance of workers. Occupational medicine professionals have expertise in determining the ability of employees to perform work, the arrangements of work, the physical, chemical and biological environments of the workplace, and the health outcomes of environmental exposures. Using this expertise, occupational medicine providers offer a full spectrum of services aimed at keeping employees healthy and safe at work. This might include employment physical examinations, medical surveillance, drug and alcohol testing, MRO services, injury care, DOT examinations and more. Why is occupational medicine important to a company’s bottom line? Healthy workers are more productive, and work-related injuries can be very expensive. The direct cost of injuries, such as the cost of medical care, can be small when compared to the indirect costs associated with workplace disruption, lost productivity, lost work days, retraining and so on. When an injury does occur, it needs to be managed well in order to return the injured worker to a state of health and productivity as soon as possible. An occupational medicine provider will work with employee, the employer, the workers’ compensation insurer and the medical system in order to help the injured worker regain functional abilities and return to work as quickly as possible. Where can I learn more about government agency testing guidelines?